Elevating your legs above the level of your chest: This way, your veins can work with gravity instead of against it! So sit back, kick your feet and chill. Compression stockings: available at the First Coast Foot & Ankle Clinic, over the counter or as a prescription. These will compress the feet and legs, preventing blood from pooling in them. To get the most out of your compression stockings, make sure you put them on the moment you get out of bed in the morning and wear them all day. This may mean you will need to start showering at night. In severe cases, more advanced treatment may be necessary. 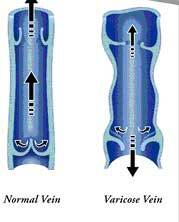 Consult with Dr. Reddy to determine the best strategy for dealing with your varicose veins.